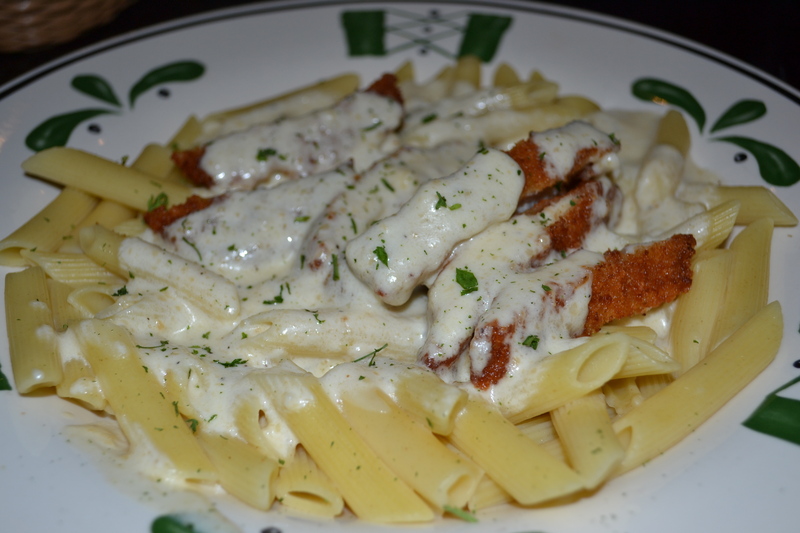 Today I celebrated the fact that I was having lunch with a future doctor by ordering penne with Alfredo sauce! But we’re getting ahead of ourselves, aren’t we? Today’s conversation inevitably landed on Ebola’s appearance in America. My esteemed lunch companion assured me that Ebola is quite difficult to contract, and that you would need significant close contact to contract it. He thought for a moment. “Mmm, should be fine as long as they cook the sauce.” And with that assurance, we were ready to eat! I generally try to avoid the lunch rush, but we were seated right around 12:30. Guess what happens when you go during a rush? 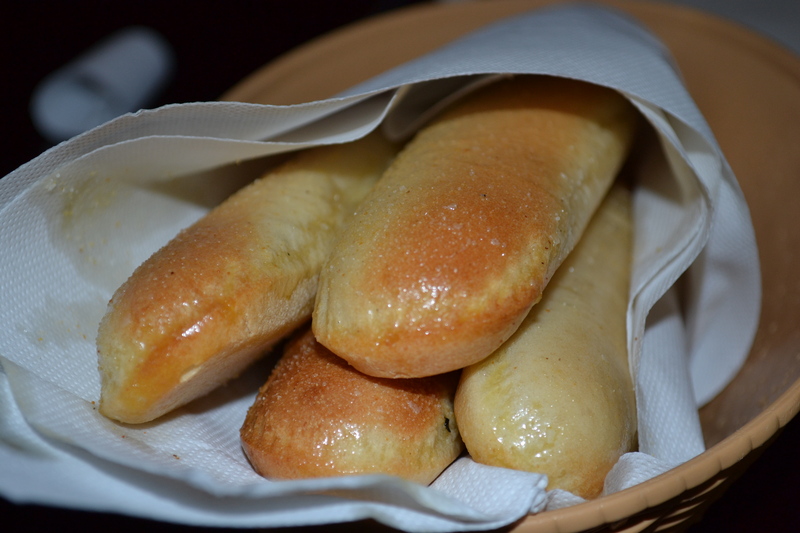 Ridiculously fresh breadsticks. I mean, look at those guys! 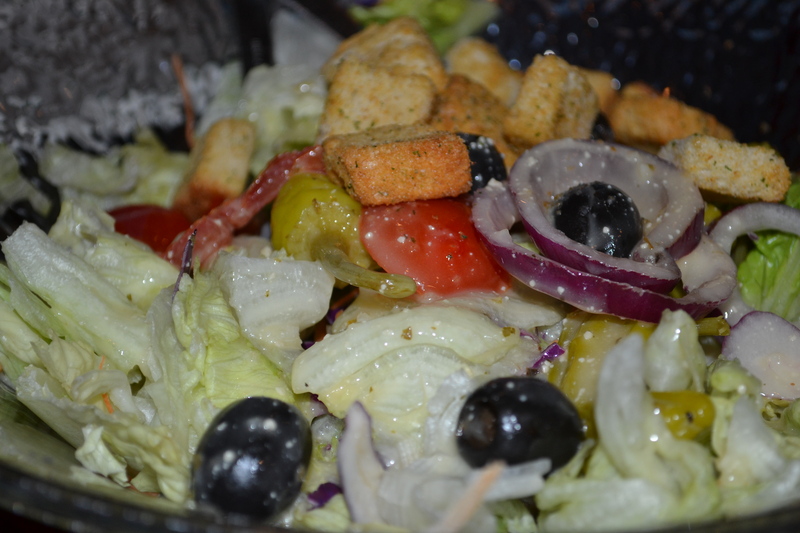 No one’s watching, go ahead and lick your screen. 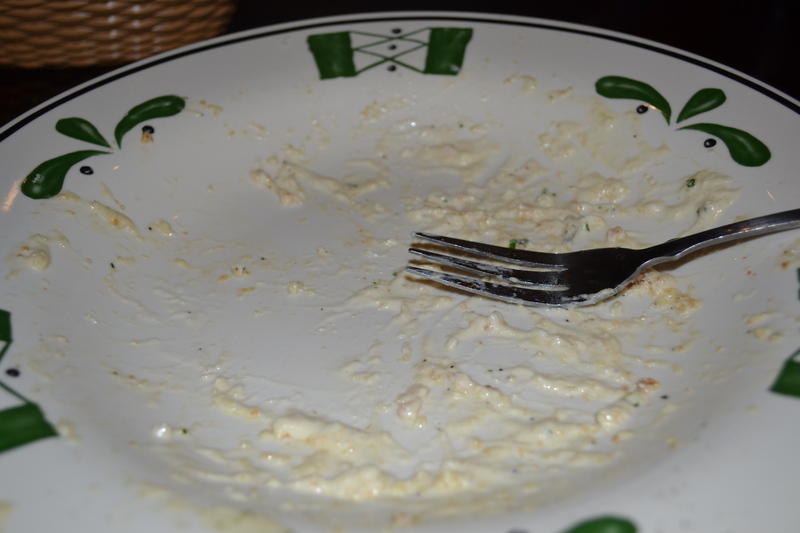 I ate one breadstick immediately, then reached for another, despite the fact that I knew I had a heavy alfredo meal ahead of me. I think the breadsticks actually dip in quality even quicker than the seven minutes I read about in that report by the unhappy Darden investors. I had back to back breadsticks, and the second one wasn’t nearly as good as the first. Game time. Last time I had the Alfredo sauce, it wasn’t that great, but that was because it sat in my fridge for six hours before I zapped it in the microwave. To give it a fair shot, I had to do an in-restaurant investigation. Guess what? 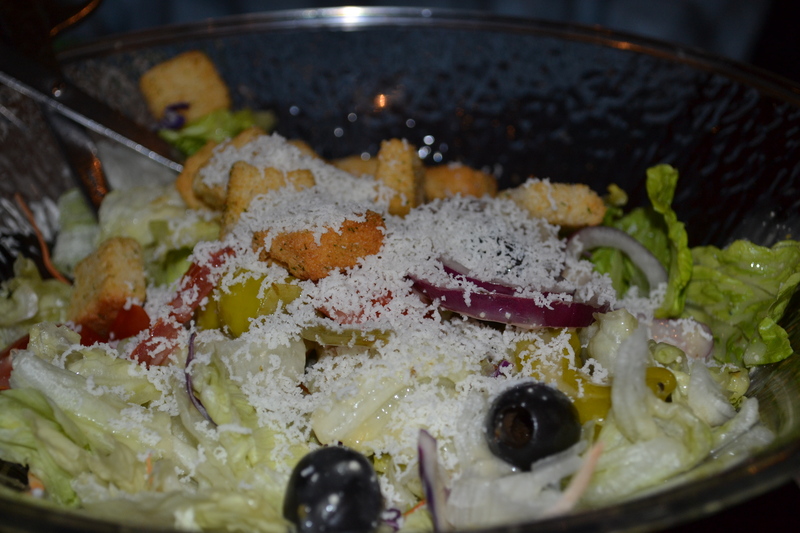 Fresh, hot Alfredo sauce is phenomenal! 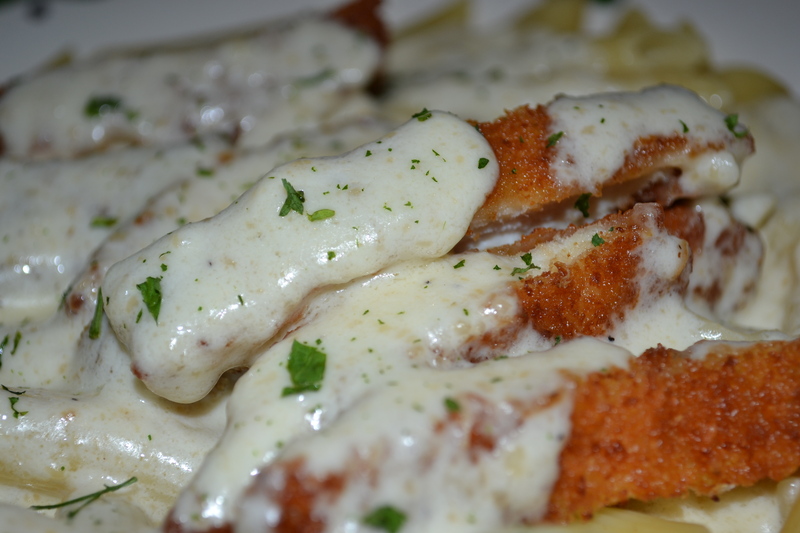 If I were rebranding Alfredo sauce, I would call it ambrosia sauce, or maybe angel’s milk. Ivory lava? 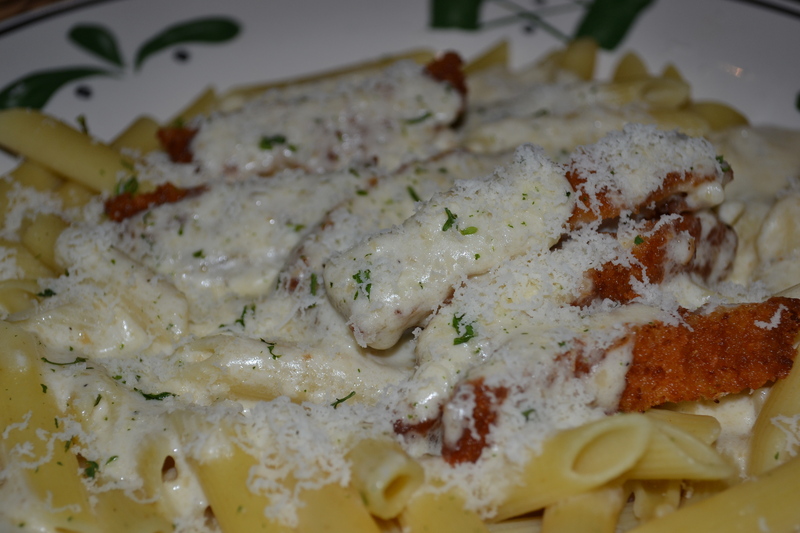 I wonder if Alfredo sauce was named after Batman’s butler. I bet he makes a mean Alfredo sauce. Dare I add cheese to Alfredo sauce? Turns out I’m not the only one doing this. Here’s another guy’s pasta pass blog. And here’s another guy who’s actually eating nothing but Olive Garden for the entire seven weeks. Cheers, pasta pass mates!